And yet, I was never a big fan. My husband and best friend are always making fun of me because I have a tendency to say, “Really?! They were smoking The Pot the other night?! They were doing drugs?! How did I miss that? !” instead of calling it something cooler like ganja, weed or Mary Jane. Actually, none of those words are probably cool. I think the part they find even dorkier than my word choice is my shock that it had taken place. Hi Annie, we are in our 30’s. Adults. Individual choices. …and it’s not like we ever know of anyone doing meth or bath salts or something. So, imagine my surprise as I went to play date after play date once moving to NYC and began consistently smelling marijuana. The first time I smelled it I was getting a tour of a friend’s apartment in Brooklyn while our kids all played. She pointed out an odd metal window/opening by the staircase and I laughed and said I thought it didn’t work that well because clearly a neighbor must smoke pot and it is seeping through. It’s happened several times since then at other play dates. And here I had been wondering why I was the only mom yelling at her kids and putting them in Time Out. It has all become so clear. Which is pretty classic for me. I am always the last one to get the joke or to know what everyone else already knows: like that everyone else in the room but me is high. I miss the elephant in the room with amazing consistency – it’s kind of impressive. The real bottom line is that parenting is tough. When you are home all day with kids your nerves can feel as frayed as any denim Rihanna ever dons. I can admit to yelling, putting them in Time Out and yes, even wanting to hit them. I get wanting to escape…or at least tone down the edge of it all. And I have totally been known to have some wine or whiskey at night to do just that. Or have a sitter come just so I can go to the gym by myself or get a pedicure. I have done those things. Perhaps I wouldn’t ever feel so on edge or in need or a break if I smoked weed like it seems so many of my ‘mommy friends’ do? Or perhaps I would become a (more) paranoid mom who would (literally) never take her kids out of the house. Yeah, paranoid and lazy would almost certainly end up being more my style. That isn’t really in anyone’s best interest. The truth is that I am not sure where I stand on this topic. My gut says it’s not the best idea. But guess what? My gut also says it’s not the best idea that I ever drink wine while my kids are still awake (I don’t put them to bed at 5pm guys, let’s be honest.) or yell at them. So, no stones will be thrown from my glass house today. What’s the lesser of the two evils? Is either side even evil at all? I don’t think I will join this newest frontier of pot smoking moms. But that has much more to do with the fact that when I tried marijuana that one time in college (I can’t get in trouble for that, right? Right, Clinton?) it made me feel as though I had no control over my words or actions. I don’t like that feeling. (Ahem, control freak. I know.) Personally, a glass of wine or two makes me much more calm and happy, while still feeling in control of my actions. And it is something I know I can do without needing it every single day. 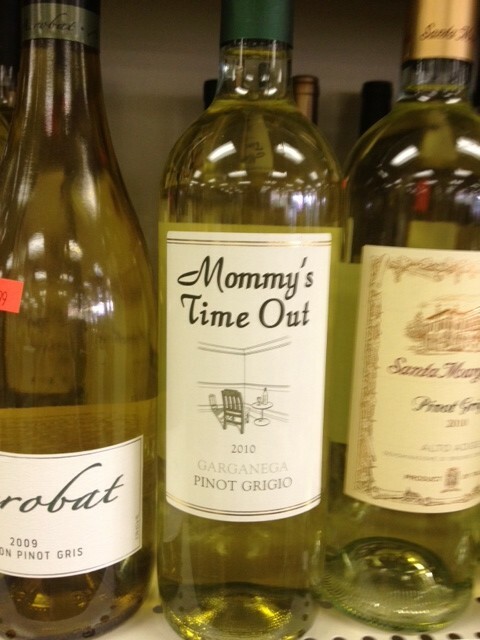 I totally get that evidently many moms feel the reverse. Wine maybe makes them sloppy and pot works for just taking the edge off. To each his her own. When you talk about it like that it all seems a little crazy. Like, why the heck do any of us need to be doing anything at all?! Hello! We are raising beautiful, hysterical, loving, smart, creative little beings, not being forced to skin narwahls day and night with a side of physical torture. I can tell you that if my judgy pre-kid self was reading any of this I would be angry at any parent for consuming anything that may impair them while their kids were in their care. To be clear, I would have probably also said that my kids would never watch more than 30 minutes of TV a day or eat ice cream before dinner. Yeah. Things change once you actually have kids of your own. And now, it seems, pot. I think we are all just trying our best to be good parents and doing whatever feels right to us personally to get through the day having been the best parents possible…and also with some semblance of our sanity intact. So, I withhold any judgement about this topic, but I will say it is prevalent. Very prevalent. In fact, the main reason I finally put this blog post onto ‘paper’ after it has been floating around in my head for a year or so, is this article on Jezebel today. Chances are, you will see a mom today who is gently cooing at her baby and looking as though she is just blissed out on motherhood. Now you will wonder on exactly what she is truly blissed out. And maybe if you see some other mom yelling at her kid on the sidewalk you’ll think of sliding your dealer’s number into the palm of her hand. I guess let’s just hope all of our kids turn out proportionally well to how hard we try each day as parents. If that happens I think all the kids will be alright. This entry was posted in Chronicles: observations of the outside world. Bookmark the permalink. Follow any comments here with the RSS feed for this post. Post a comment or leave a trackback: Trackback URL. Zoe – Well, you are better than I am! I admit that I have been drunk more than once since having kids. Mostly when a lot of family is visiting or when we are visiting family, so there would be someone who could take charge if something serious happened with the kids in the middle of the night, but not always. Just being painfully honest here. Not necessarily something I am proud of. I truly don’t how I feel about all of it (pot AND alcohol as parents, honestly). I guess if I felt strongly I wouldn’t hang out with anyone parents who smoked pot or drank…and would not drink myself, either. But I just don’t right now. As someone who may or may not have used pot frequently in college, I can say there seems to be a lot of assumption out in the world that if you say you smoke pot, it exactly means that you get absolutely stoned out of your brain. You can smoke a little and have a small buzz that you can “snap” out of, much like a glass of wine vs a bottle. I actually preferred it over alcohol. It calmed that overactive, stressed, anxious, mile-a-minute part of my brain with few other side effects. If it were legal, I’d do it now. As it were, I graduated from college and discovered it was pregnant two weeks later, so I stopped. for me it really is a mood thing. i was given a prescription in college by a real doctor, not some whahoo i paid, for sever menstrual pain and mood swings. i had to stop smoking for several months and every one, from my brothers to my parents to my boyfriend to the grocery guy noticed the difference. i got mean. just really short tempered. and that isn’t how i want to parent. i smoke pot because i have a genuine distrust of synthetic mood drugs that i would get if i went to a doctor now. “oh you’re a mother having a hard time coping? here, have this pill.” instead, i focus on meditation, diet, and a little puff from time to time to keep me mellow. we leave that house, have adventures, meet new friends… i don’t take it on play dates and try not to smoke in the house, smoke is smoke and it isn’t for the kids to breath. i also won’t smoke if someone is coming over to play, because i want the other mother and child to feel safe in my home. That’s the thing, I truly feel like in many circumstances this is a gray issue. No parent should ever smoke week every day, on that I have a pretty firm stance. Kat – I get it. I feel like I have less patience since becoming a mother…exactly when I need to have MORE patience. I don’t always like who I see myself being. Yelling, being the number one issue. So, part of me says, awesome! if we can all find something that let’s us be nicer, more calm, happier mothers every day, isn’t that better for our kids? Yes. And part of me says, but shouldn’t we try harder (self included) to find non-medicinal (creatively including wine and weed in the medicinal category) ways to keep ourselves in check and happier? Yes. And then part of me says, life isn’t perfect. I’m not perfect. I don’t expect my kids to be perfect. So why do I try to ‘medicate’ any stress or anger I feel now that I am a mom? Isn’t it okay for our kids to see us have a wide range of emotions? Will they grow up thinking that it isn’t alright for them to feel frustration or feel overwhelmed? Or that THEY need to use an outside substance of some sort (pills/alcohol/pot) in order to calm those feelings? Isn’t it healthy for them to see me find healthy ways to handle ALL of my emotions? Yes. Those are just my thoughts. Of course, then there is reality. And reality is, I don’t always have time to carve out ‘me time’ and get more centered/happy/calm. Sometimes the best solution I (an imperfect person) can come up with is a glass of wine at 7pm. Look! I wrote a second blog post on the topic! Great post! I love your “second” post as well. First of all, I’ve never been to a play date with pot. SEcond, I get that whole edgy feeling and wanting to tune out with a glass or two of wine. And it’s an easy habit to get into. But I feel exactly like you said, it’s ok to have all these emotions. They are normal. And I have to tell you, yoga helps out a lot with that physical uncomfortable feeling. what an interesting topic to write about. While it’s so prevalent, it is kept so quiet. Not a good thing to keep such common topics under the radar. Mothers are still too scared to admit that a cocktail or joint here and there are fabulous…even, dare I say it, while taking care of the munchkins. So many mothers are afraid of being called a terrible mother if they arent in aprons, perfectly coiffed hair and dewy makeup while watching after their babies. I say that as long as it’s not a regular occurrence and you are being responsible– meaning, not taking your eyes off of your children, not putting yourself first when they need something to be opened, closed, etc and not abusing anything– go ahead. smoke a little— after all, being a mother is the hardest job in the world. they deserve a little happy hour too! thanks for writing your perspective miss mommy chronicles. love your blog! Erin – Thanks for the comment. I have to clarify that I have never actually had a fellow mom smoke pot DURING a playdate, but have smelled it when we got there and/or heard some moms admit they smoke during the day. I am so happy you enjoy reading my blog! DJ Julia Maria- This comment made my day. Actually, maybe my week. You are also quite awesome.